There are miles of beautiful paved, quiet roads in Yancey and Mitchell Counties. Guiding and cue sheets available. 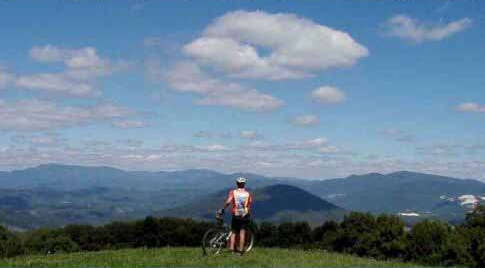 Plenty of mountain biking, too, though there are no official signed trails. Hiking opportunities abound. 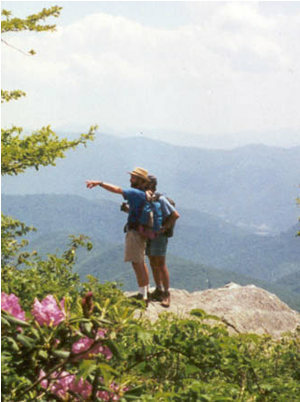 Popular nearby hikes include trails in the Black Mountains (including Mount Mitchell, highest peak in the eastern United States), on the Appalachian Trail near Roan Mountain, and in Linville Gorge. The picture at right was taken on View Rock in the Blacks. Maps and trail descriptions available from the Innkeepers. 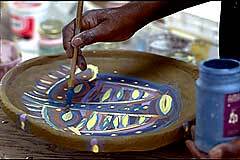 Many potters, glass blowers, and artists live in our area, and Penland School of Crafts is a short drive away. See the list of links below for other recreation ideas.